Kinoko Cycles have recently started stocking Wild Things, a Japanese outerwear brand, using technology not often seen in jackets. Kinoko is a cycling and outdoors online store, stocking the finest goods for both disciplines. Wild Things clothing is crafted in the USA and exhibits innovative designs from a unique Japanese perceptive behind the scenes. Combining lightweight warmth with Japanese simplistic design. 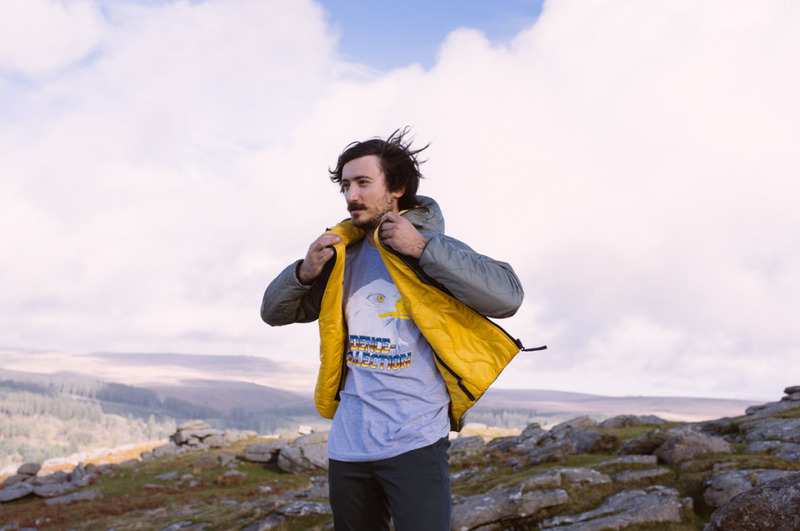 The clothing takes on a 90’s colour palette, is high quality with performance being a priority to keep you toasty warm on the most treacherous of winter days. Their secret is Primaloft technology, not seen in most clothing today. Primaloft is a synthetic microfibre, thermal insulation material, that was developed for the United States Army in the 1980s. 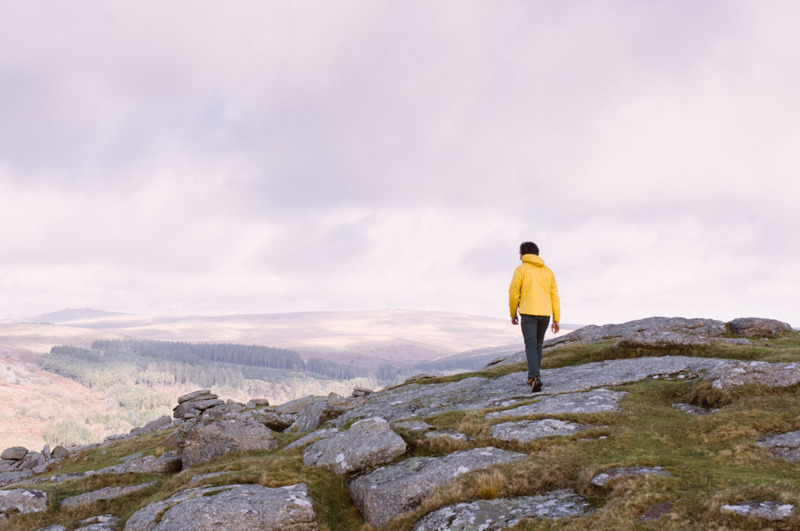 In other words, the Primaloft jackets have a double layered insulation with fabric which is quick drying and lightweight, whilst retaining 96% of its insulating capabilities when wet. The Reversible Jacket from Wild Things features Primaloft Technology. The durable nylon Ripstop outer shell will help protect you from wind and rain. The jacket also features a deep adjustable hood, zippered pockets on both sides and a longer back to keep out the chill. You can either choose to be a Wild Thing yourself with the mustard colour way to stand out or play it cool and simple with the grey. Change the colour to suit your mood! The jackets are available in two colour ways, Mustard/Grey or White/Brown. Featuring more Primaloft technology, is the collaboration between Wild Things and Kato. The take on design is for a more technical jacket. A brand founded in 2000, Kato believes in the concept of a ‘tool project’ – the idea to get more function out of your fashion. The more features and uses your design has for the individual the better. The Wild Things x Kato Wool Primaloft Jacket features the same Primaloft warmth and protection but Kato has brought a much smarter look to the jacket, ideal for any kind of situation. The outer is a wool mix and the inside is fully lined with a soft ‘s-stitched’ nylon fabric, the hood and the sleeves are elasticated to keep heat in. The jacket is available in either grey or olive. Saving the best till last. 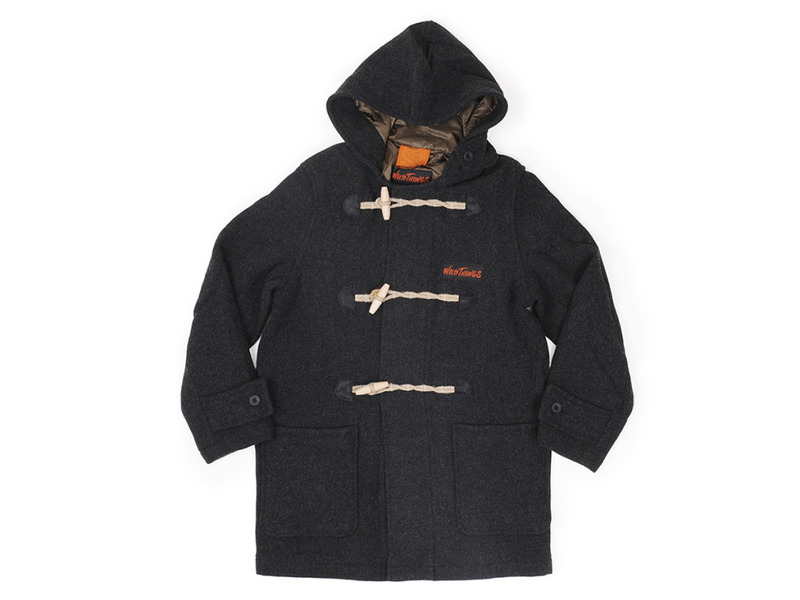 Wild Things x Kato Primaloft Duffle Coat. This jacket is one of a kind. Kato gives us his idea of how a modern day duffle coat should look and function. Again holds the Primaloft innovation and even extends to the sleeves to help keep the cold out. With this combines strong textured wool along with wooden toggle fasteners to hold up the immaculate quality. This coat is a must for any jacket connoisseur. Wild Things, overall, is simple but genius. For me products by Wild Things, head over to Kinoko Cycles now. Remember, the Japanese always do it best and it’s no different in this case.